Introduction to Sailing - 3 hours on the water with a SAILCanada certified instructor (by Appointment only). Start Keelboat Standard (SKS) - Learn to be able to sail safely as crew of a sloop rigged keelboat 6 to 12 metres with an outboard or inboard motor in 5 - 20 knots (not gusting over 25 knots) of wind by day. Basic Cruising (Learn-to-Sail Keelboat) - Learn to skipper and crew a fixed keel sailboat under power and sail through 18 hours on the water plus access to online ashore knowledge modules. 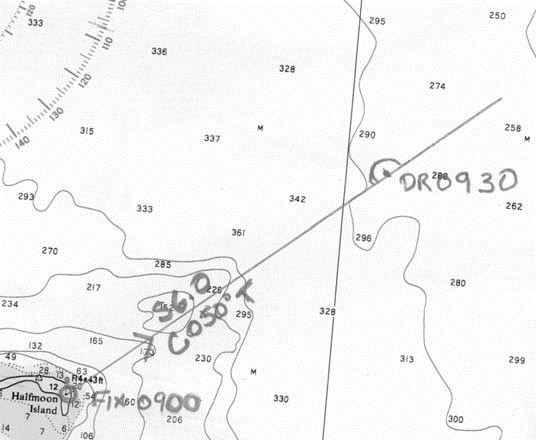 Basic Coastal Navigation — This introductory course offers basic knowledge of navigational theory. The curriculum covers the role of the navigator, introduces the publications, navigation aids and tools and techniques to support planning and safe passage making. Delivered online with the support of LearnToCruiseOnline.ca. Restricted Operator Certification (Marine) — Marine (ROC-M) - A convenient Online course offered through LearnToCruiseOnline.ca. Exam fee discount for CYC members. Canadian Power and Sail Squadrons (http://www.cps-ecp.ca) offer a variety of classroom and online boating courses. If you just want to experience what it is like to handle a sailboat, Introduction to Sailing is intended to introduce novice boaters to safe practices in preparing to leave the dock, while underway, and returning to the dock. This course is 3 hours with a Learn to Sail Instructor. No experience needed. Gain new skills as a skipper and become a valuable crew member for keelboat sailing. This course is one weekend. Power boaters welcome. Cost and Maximum Class Size: $495 for up to 4 people (includes Sail Canada registration Fee). Special rates for CYC members, couples and families. Basic Cruising is intended to develop individuals to be able to sail safely in familiar waters as both skipper and crew of a sloop-rigged Keelboat of 6 to 10 meters with an outboard or inboard motor in moderate wind and sea conditions by day. This course is 18 hours on the water with a Learn to Sail Instructor plus access to 4 online ashore knowledge sessions, a practice exam, and a final 3-hour examination session for the SAILCanada Basic Cruising Examination and the Transport Canada Pleasure Craft Operators Card (PCOC). In addition to the the online learning modules, the course includes the official Sail Canada Basic Cruising Skills text book. All Learn to Sail Keelboat students automatically receive all the benefits of a social membership (known as an Associate member) until the end of the calendar year to enjoy the many club facilities and events. In addition, on successful completion of Basic Cruising, you will be able to participate in the Club's Boat Sharing program that provides for 3-hour experience-building sailing sessions. This is a great way to continue enjoying being on the water for the balance of the 2019 sailing season at a modest cost. (Note: Use of the boat is limited to CYC members with a minimum of the Sail Canada Basic Cruising Standard). This introductory course offers basic knowledge of navigational theory. The curriculum covers the role of the navigator, introduces the publications, navigation aids and tools and techniques to support planning and safe passage making. The student is exposed to basic plotting and position determination methods. This course covers information key to the effective use of electronics. Sessions complement material introduced in the Sail Canada Basic Cruising (Learn to Sail Keelboat) standard. The concepts and skills covered are applied in the Intermediate Cruising standard. To be able to safely navigate by day in local waters. Course Fee: $150.00 plus HST. Includes: Student notes and exercises, access to a comprehensive set of online instructional screencasts, a practice exam, and the official Sail Canada Basic Coastal Navigation exam. 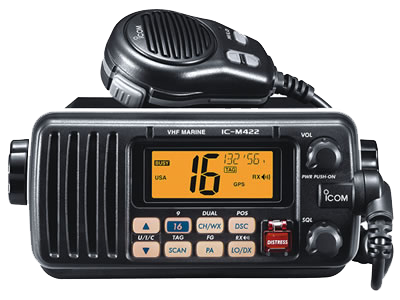 The VHF radio is your lifeline in an emergency or distress situation and certain protocol must be followed. In Canada, anyone who uses a VHF radio is required by law to be certified in order to use a VHF or other marine radio transmitter. VHF radio operators must follow the procedures described in the VHF Radiotelephone Practices and Procedures Regulations. Currently, all Marine VHF radio operators are required to have a Restricted Operator's Certificate (ROC-M) with maritime qualifications issued by an accredited agency under the authority of Industry Canada - Spectrum Management, a department of the Government of Canada. To obtain a Restricted Operator Certificate (Maritime) one must successfully complete a Restricted Operator's Certificate Maritime ROC(M) course including the new Global Maritime Distress Safety System (GMDSS), Digital Selective Calling (DSC) Endorsement with the Maritime Mobile Service Identity (MMSI) System. Successful completion of this course certifies you for Restricted Operator Certificate (Maritime). To be able to communicate effectively via VHF radio including use of the Digital Selective Calling (DSC) feature. Full course $75.00 plus HST plus Exam Fee (CYC members - Exam fee waived if exam written as a group at a mutually convenient date).